Cal Ripken Jr. next manager for Nationals? If the Washington Nationals, or any other major league franchise, are interested in having Cal Ripken Jr. as their manager, the impetus is going to have to come from the team, the former Baltimore Orioles Hall of Famer indicated over the weekend. “I’m not lobbying for any managing job,” Ripken said, in an interview that left unanswered the question of whether he wants to manage in 2014, or is merely intrigued by the possibility. Cal Ripken Jr. is thinking of coming back to the bigs as a manager? I understand this, but with the Nationals? Cal Ripken was and still is the face of the Orioles. I understand Buck will most likely stick around for at least a few more years, but pairing Ripken and Machado would sell standing room tickets on a daily basis and make the atmosphere at Camden Yards electric(in regular season baseball terms). With Davey Johnson retiring, the Nationals should have their pick of a new manager as they likely will be the most talented team hunting for a coach this off season. Ripken has a gig with TBS and is probably pulling in some solid cash so I hope he sits on that for a few years. 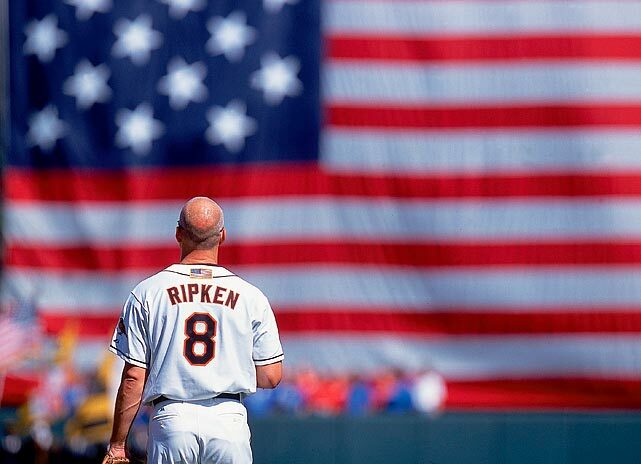 If things go sour with Buck, Ripken would be the perfect replacement to take the O’s to the Series. “Iron Man” needs to realize that if does take the manager job with the Nationals, most O’s fans would see this as straight disrespect. Cal Ripken is everything Baltimore. Coaching for a team under 40 miles away or anyone in the AL East would be a dagger to O’s fans. From the sound of his statements in the article, it sounds like he isn’t ready to make a decision anytime soon. I think O’s fans can take a deep breath. Cal knows deep down that Baltimore has been, and will be the place for him, and when the time is ready, he will be there take over and lead the O’s to promised land. This entry was tagged Cal Ripken, Cal Ripken Jr., Cal Ripken Jr. Coaching, Nationals, Orioles. Bookmark the permalink. ← Robert Griffin III is all About the TEAM! Pause not.